After visiting Cuba a few times with both friends and family and never been disappointed. Whenever I have visited it has been in the rainy season and weather has always been fantastic for us. It is a rare event that I visit somewhere twice but you can’t go wrong with the stunning, white beaches, scorching sunshine and impressive colonial architecture. You soon fall in love with the relaxed atmosphere and Latin rhythms. Getting used to sipping a daiquiri on a beach, whilst dipping your toes in the warm turquoise sea! There’s something very different about Cuba, something that sets it apart from anywhere else in the Caribbean or even the world. Maybe it’s the island’s extraordinary history, its political system, its decades of self-sufficiency, its unique Afro-Latin culture – whatever it is; it certainly makes Cuba one of the most intriguing holiday destinations I’ve ever been too. 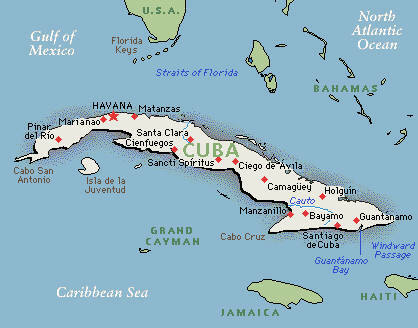 Cuba is the largest Caribbean island, extending 750 miles and is truly spectacular. The island has a population just over 11 million; with the capital being Havana. The local currency is the Cuban peso which can only be purchased once in Cuba – it is a closed currency. The exchange rate seems to be the similar everywhere though; we changed our money in our hotel as the airport was very busy and seemed to get a great exchange rate. The official language is Spanish but the majority of locals seem to speak very good English too. The climate is tropical, with the dry season being from November to April and the rainy season May to October. You are warned there is a risk of hurricanes from August to October though. The last storm to hit was August 2012 ‘Hurricane Isaac’. Cuba’s journey from suppression to independence lasted over 500 years and come with a colourful history and a tale of political revolution. A trip to Cuba is more than just sun, salsa, rum and cigars; it’s a voyage of discovery into a past too big for a country so small. 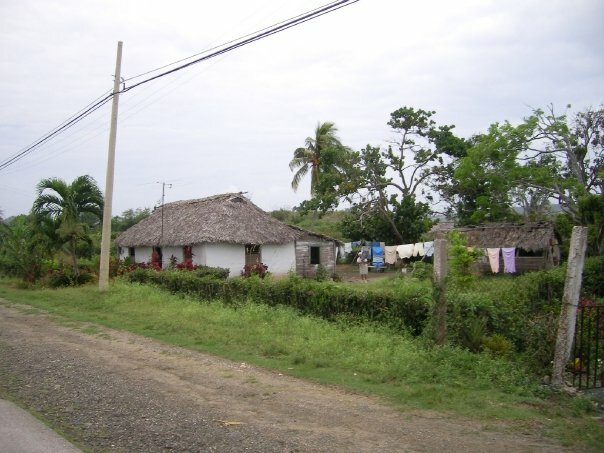 Originally occupied by peaceful, semi-nomadic tribes who lived as hunter gatherers, Cuba enjoyed peace for hundreds of years until 1492 when the island was discovered by Cristobel Colon, a Spanish conquistador. The Spaniards that followed him are responsible for the hundreds of years of oppression. It took until 1898 to rid Cuba of Spanish power only for the Americans to take over with a fragile democracy. Further battles ensued until 1902 when formal independence was granted and then the reign of Batista brought corruption, repression and strict economic guidelines. In 1959 Fidel Castro and the famous Che Guevera took control and the single-state communist party turned Cuba into what it is today. There were thousands of men and women involved in the liberation of Cuba. 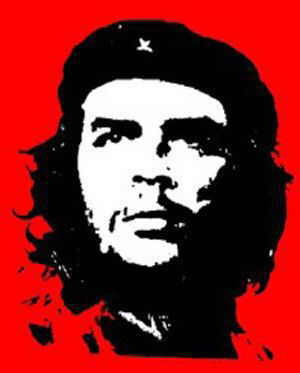 Che Guevara the most famous of them all an independence fighter of the world. Was a Marxist revolutionary from Argentina. His experiences of poverty and imperialism led him to the uban War of Independence, alongside Fidel Castro. They overthrew the US supported Cuban dictator, Fulgenico Batista in the 1960s. After years of antagonising some of the world’s greatest powers, Che was executed in 1967 by CIA-assisted Bolivian forces. His legacy remains in the literature he wrote, the t-shirts printed with his face on and the many monuments and museums around Cuba. No trip to Cuba is complete without taking a Che souvenir home. We flew from Manchester to Cuba which takes approx. 9.5 hours to which ever airport you fly in to North or south. We have stayed in the luxurious Cayo Coco an island in central Cuba linked to the mainland by a causeway for a relaxing holiday break. The island is mainly for tourists on their holidays, it has large international all-inclusive hotels, the beaches are amazing and there is a massive coral reef off the north coast which attracts snorkelers and divers. Days are slow and sleepy on the white pristine sands and nights come alive with the vibrant beats of salsa music and dancing. When it comes to things to do, it’s very simple as most activities are hotel based offering sports such as tennis, football, water polo and dancing lessons. Water sports are very popular, including pedalo rides, windsurfing, water skiing, kayaking, kite surfing and paragliding. Or maybe you will fancy taking a relaxing glass bottom boat ride. Fishing enthusiasts will love heading to the deeper waters of the Atlantic with the chance to catch marlin or swordfish. 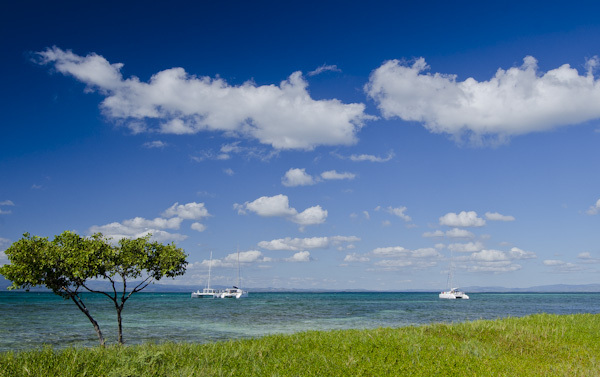 Cayo Coco is an important ecotourism destination, rich in lush vegetation, lagoons, marshes, wetlands and wilderness regions with diverse ecosystems. The area is a haven for wildlife and birds, with plenty of nature trails to follow and tours to take. 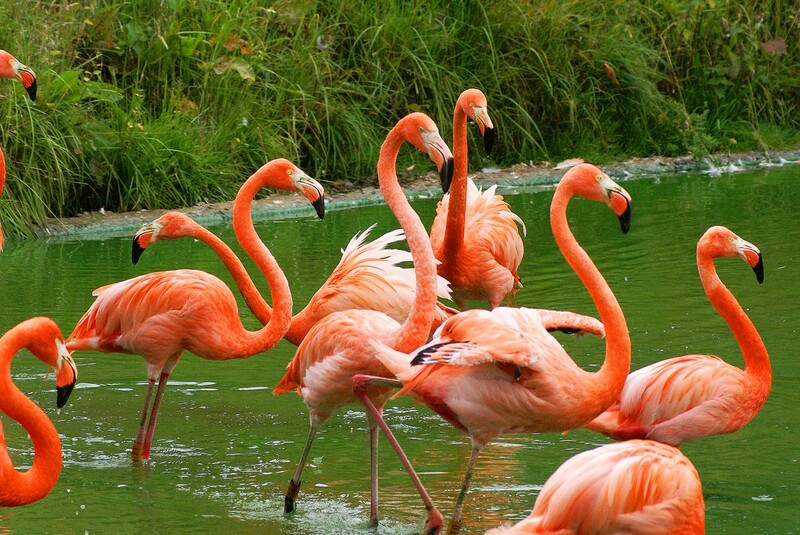 Popular excursions include hikes in El Baga National Park, and flamingo tours to view the huge colony of pink birds that resides on the south-west part of the island. Cayo Coco is a great destination to pair with a trip to the captivating capital city of Havana or the Spanish colonial city of Trinidad like we did. (I will write a separate post about visiting Trinidad). I have also been lucky to take a week’s holiday with a friend to Guardalavaca, located at the eastern end of Cuba. This is a tranquil resort, with a real tropical feel and great beaches. 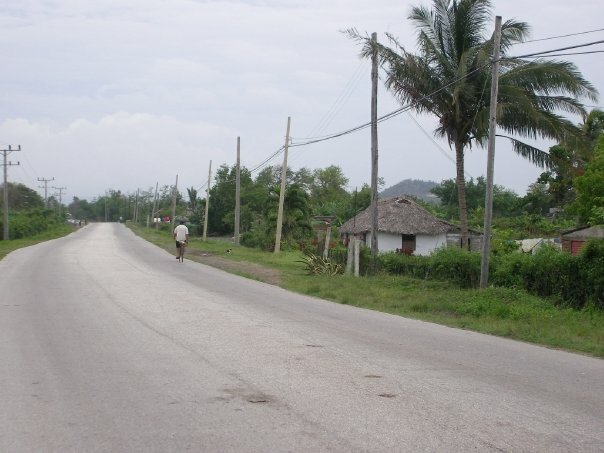 The region is famous for its low wooded hills, sugarcane plantations and lush tropical vegetation. Inevitably the main focus is on the immaculately maintained beaches with perfect powdery white sand and deliciously warm turquoise seas. 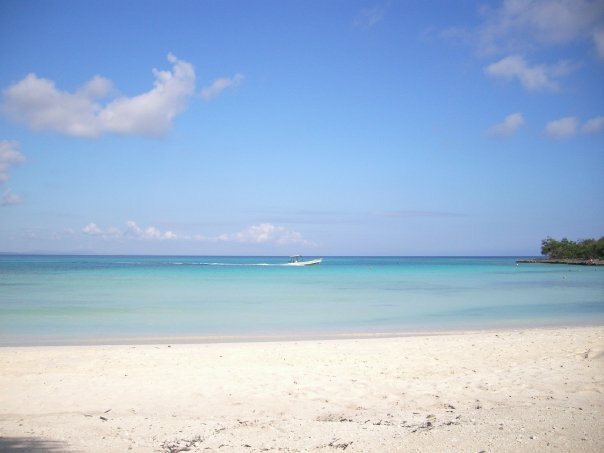 Amazingly clear water offers idyllic conditions for relaxed swimming and snorkeling. Our hotel was located on Playa Pesquero beach. Many of our days were spent sunbathing on the beautiful beach or around the hotel’s pool. The hotel we stayed in was such good fun, there was a young and lively vibe with lots of Canadian guests and we made lots of friends. We hired bicycles from the hotel and explored the lovely tropical countryside passing local houses where children ran outside to greet you and wave you past. There was such a friendly and safe atmosphere. We were also very lucky to be invited for dinner to a local’s house along with friends. We arranged a taxi from the hotel, it was only a short ten minute ride but soon experienced a bit of the real inhabitants way of life. We went down a dark side track with no lights to find a small house. We were made ever so welcome by the family of six which all lived in this small two roomed house. The children were playing with bottle tops on the floor, watching them was fascinating how much enjoyment they were getting from such a little thing. The mother of the family cooked us fresh grilled lobster with lots of side dishes to help yourself too from salads, beans to local vegetables and spicy rice. It was delicious and such a great cultural experience. After such a unique evening we decided to go to a local salsa club called ‘La Rocca’. Wow was this intimidating… We walked in and got a drink (rum of course) and took a seat. It was around 11.30pm but things didn’t seem to get going till after midnight. There weren’t many tourists here, which was good thing! The locals soon started hitting the dance floor and their moves were sizzling, salsa comes like second nature to them! The passion and rhythm was unbelievable! The Cuban natives were very friendly and welcoming us to dance. We soon found ourselves joining in and having an amazing memorable night. Holguin is an area offering unspoilt Caribbean beaches and the chance to enjoy some of the finest national parks in Cuba. The region is notable for its outstanding natural beauty and a strong emphasis on eco-tourism. Christopher Columbus first discovered the place when he landed here in 1492. He said it was ‘the most beautiful land on earth’. 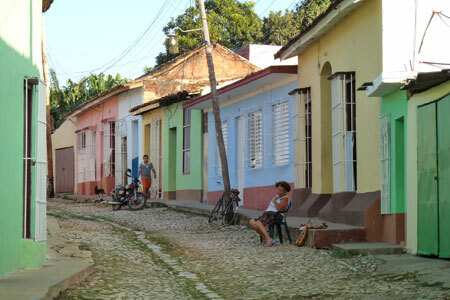 As well as its beauty, Cuba offers a unique cultural experience with its blend of African and Spanish influences mixed with 50 years of socialism. There are plenty of sights to see in Holguin including the national monument, Museo Provincial, The Hill of the Cross with its spectacular views, the Museo Indocubano in Banes, and the archaeological site of Arawakan Indian village. Tours of local rum and cigar factories offer a classic Cuban experience, and day trips to Havana and Santiago present a slice of colourful city life. 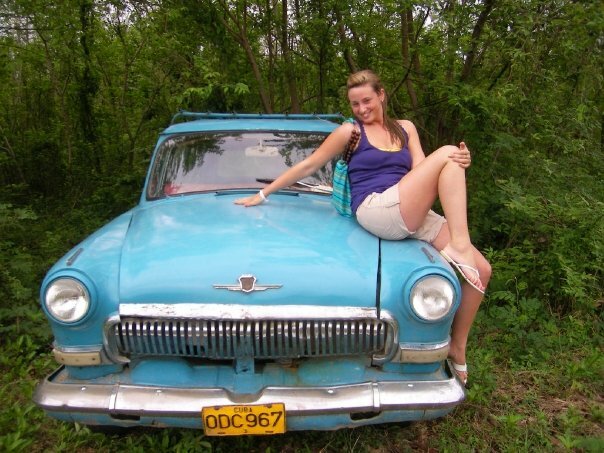 Cuba should definitely be on your bucket list it really is a fabulous place to explore and go on holiday and yes I would return for the third time! Coming soon a post all about ‘Trinidad’! I would like to show my appreciation to the writer just for rescuing me from this trouble. After searching throughout the world wide web and obtaining proposals that were not helpful, I was thinking my life was over. Existing devoid of the solutions to the problems you have sorted out through your entire guideline is a crucial case, as well as the ones that would have badly damaged my career if I hadn’t encountered your website. Your own personal knowledge and kindness in dealing with all the pieces was tremendous. I’m not sure what I would’ve done if I had not come across such a thing like this. I can also now look forward to my future. Thank you so much for your specialized and sensible guide. I won’t think twice to propose the blog to any individual who needs counselling on this subject matter.